Realities often are cumbersome, crude, and most people simply look-away at these burdensome situations. And just as often Animal Advocates will do so as well, especially when assuming defeat, then a manipulated hoped-for compromise takes place. The forced upon government or politician’s quick-fix can be a resolution, but history and reality, within our universe anyway, dictates it being temporary, at best. The Indians and Buffalo in the past — now Wolves and even Wild Horses currently. So easily is this situation resolved, but not done as long as there exists a “kill-to-manage animals” ideology within our government. And why not, we certainly have a history of easy-fix solutions, and to many killing is easily done. We are a war society. The American Indian remains exemplary and certainly stands out among the pages of history as being mistreated by what we call the “Seeds of Civilization.” This can also be used, from the notes above from General Sherman, which shows hatred as a compliance toward a supposed resolution, within this particular discussion. Needless to say, General Sherman’s comments stirred hatred toward the Indians at large, and we know the following history of that situation. It demonstrates the pretense to not only the human aspect, but what we as a civilization can do to our fellow mankind and are right now doing to our wildlife and even domestic animals. We can no doubt also assume that if we, as mankind, can do this to our own human flesh and blood, then it is not so farfetched to assume we can do this to animals as well, and those excuses from the past can be used once again today. And we do! Many people within our government today do this same thing, make no doubt. Slurs and rhetoric abound, presenting a casual killing atmosphere toward our nations wildlife, to be simply — okay. We can look at the Fish & Wildlife Service for example, extremely guilty of a “kill-to-manage” ideology and response to managing our nations wildlife, and yet we find within good-science research to be unnecessary. The Bureau of Land management, the Department of the Interior and the Forestry Department and how they manage our Wild Horse Herds are also a good example, and though not mentioned here, can no doubt be assumed, as to what happens to the Wolf — so to the Wild Horse Herds domestically. Leadership should always be questioned and their motives brought forth within discussion, in order to assume any type of honest decision making process; especially this and in accord with our present killing of our wildlife and the taking of our Public Lands by oil, mines, and energy corporations and the cattle industry! Suddenly, we also find our lands being destroyed because of these government/corporate decisions. Entire ecological systems being wiped out, replaced by temporary money-makers, but short-lived. But we pay the cost, both monetarily and ecologically, with the common destruction of our Public Lands. Many who listen to our leadership, or lack of, are not best equipped to understand the situation discussed here. Wolves, for example, are portrayed as derelict animals that kill for the joy of killing something-anything. And yet, Science and authenticity of Wolf kills have shown much differently, and recorded as such — but ignored. “I am sure many people will write letters expressing outrage. I too am outraged and sickened by this butchery (dressed in the sheep’s clothing as “fun”), but I’ll allow other letter writers to discuss the inhuman brutality, if not insanity, of this event. I’d like to comment on the publicity poster mentioned in the article that depicts the stereotypically evil looking, snarling wolf. Perhaps this poster could have a better, far more accurate and descriptive image instead: That of the stereotypical redneck hick (with the obligatory beer gut and buck teeth), dressed in overalls – holding a sawed-off shotgun? I think this image is far more suitable.” Wolf kill a poor strategy to manage wildlife, Vancouver Sun, Canada, Nov. 26, 2012. Our civilization continues to take “backward steps” — rather than assume a progressive stand toward saving our wildlife; instead, lack of leadership within political realms as well as government agencies’, compounds — the results — abundant killing of our wildlife — not going unnoticed what so ever is the ways of killing our wildlife has become uncalled for and extremely abusive as well! One can also state, beyond a doubt, some of the methods used to be criminal in nature. The “kill-to-manage” our wildlife is no longer an option, whereas, other management principles must be developed in order for us all to exist on this planet! This means stop the killing of our wildlife, as it is unnecessary; There exist many options, and the old ways must depart, making way for new and improved options of a more civilized nature. But what is it that we see, for example, on television. We see the Discovery Channel, the National Geographic Channel, and quite a few more who advertise themselves as a community that supports wildlife and animal welfare. Often these stations also are supported by non-profit groups that advertise themselves as supporting wildlife. But in truth they do not do so and the dispersion of funds and donations received demonstrate a much different situation. A little research shows they lie. But the reality? Much of their viewing schedule is about hunting, killing, or eradicating animals in many different ways, and throughout the United States and the world for that matter. They sell-out to corporate advertising and money. But not so surprising if, once again, we understand history and note what humans have done to other humans. The gap between savage and civilized narrows, where one becomes undistinguishable from the other. Hunting is no longer the part of history from yesteryear, especially within the United States — which used to be distinguished to place food on the family table; rather, today it is a nasty affair and fraught with blatantly and gruesome results more often than not. Yes, we have come to the point in the escapades of a hunter of today that shows their killing and mutilating of wolves to be beyond the scope of those wild creatures they kill. Wolves are commonly portrayed as having a secondary trait to kill for joy of killing — yet, mentioned again, Science and unbiased data from unbiased research shows much differently. We see those that kill Wolves, by traps or bullets, to enjoy it to the point of having their photo taken, with pride of the kill — or for bragging rights of the kill at the local bar! When questioned about the noted and obvious abuse, these people portray the situation as “everybody else is wrong” and it was not abusive at all, that the people who said this do not know anything about hunting. Many war veterans and ex-hunters are Animal Advocates today, due to the nature and cruelties seen as common events and that hunting has become today — to include this writer and many others — make no doubt about this! Perhaps writing this and you reading this, we can all start to understand better this situation of the principles and methodology being used to liquidate our wolves, our horses, our wildlife in general. Simply worded, the “Management-by-Kill” of our wildlife is unnecessary and not wholesome to our society, our advancement as a civilization, and certainly destructive to our Ecological Systems and our Environment. This is too much to pay for someone’s amusement — It must be STOPPED IMMEDIATELY! Often our Bureau of Land Management (BLM) neglects our nation’s laws, ethics, and Constitutional freedoms. These same laws become merely words on paper, according to these particular people in this government agency, often unread and truly ignored by them. And it is quite obvious, as one can surmise, the laws and ethics totally unknown by these same employees. This is the most litigated and sued government agency in American history, and for the reasons just mentioned, and without question no other reasoning exists what so ever. Bare with me and a proper explanation will evolve on the categorical statement heading above; You will then see it is not so absurd what so ever. The fact is 70% of litigations against the BLM is for questionable conduct and usurping known laws. Many ethical questions are involved as well, and even worse — from inappropriate or outright bad decisions; whereas, the litigation that follows is at the expense of us, the tax payers, and quite costly. 5. The remainder, 30% of BLM’s litigated cases in Federal Courts — are due to bad management of our Public Lands in America, often managed incompetently — essentially the ruining of our Public Lands. Ironically, and the point of mentioning this, is the fact that the Wild Horse Herds on our Public Lands becomes the scapegoat for every bit of the lies, irresponsible behavior, and outright bad conduct of BLM employees’. This is where we can assimilate the BLM employees and their contractors into legitimate Animal Abusers. Their reasoning or excuses for such behavior never seems to be right, rather being obviously bad behavior combined with sociopathic excuses. This happens even though we, as tax payers, continue to pay for the upkeep and feeding of these horses from many unnecessary roundups, and then discover this is not true either. We find out it is also a lie given to the public by BLM employees. But why would we, as horse people, expect the truth. This during a time the BLM tells the public they are completely transparent, even though no one is allowed to go and preview and actually see the many permanent or temporary holding corrals our Wild Horses are located within. We then discover, as the public and tax payers often do find out, the BLM has been caught in yet another lie. Yes, now we discover they have been selling horses from the permanent holding corrals — yes, the same corrals we pay millions of dollars a year for as tax payers, and within the parameters of a specifically stated Horse-Count (this is important here), which in reality the Horse-Count does not exist at all. After more than two centuries of this countries existence, volumes of words written about ethics, judgments, and laws exist. Filed away in drawers, cabinets, libraries, and vast computer storage vaults, these words are there, available, to transition into our minds, or to act upon. And all these words, all of these methods of making these words available, and the time most people have to read them, the majority of these words go unnoticed. We have only ourselves to blame for such irresponsible conduct by those who we vote for and who represent us! Ironically, the laws and spirit of the ethics, as written, go unnoticed, often ignored, by the very government and process that generates them. It is simply time to change all of this! With reason, responsibility, and having those answer to the Laws and Ethics of this land. Yes, and as written in volumes of laws and ethics, making government employees responsible for their actions, rather than protected by the cloak of being a “government employee.” This remains the only way to rid our government of these numerous questionable actions of these employees and deviant individuals! Some simply need to go to prison! “Organized animal welfare can be traced back to philosophical teachings of Pythagoras (6th century) who taught respect for animals believing that transmigration occurred between the souls of humans and animals.” 1 This means animal welfare, and caring for animals has indeed been around for a long time — So let’s put a stop to the abuse of all animals — RIGHT NOW–RIGHT HERE! Earth Voice Web Site at http://www.earthvoice.org/default2.htm contains information on the protection of all animals. The BBC Web Site at http://www.bbc.co.uk/religion/ethics/animals contains a wealth of information on animal ethics. The site does an excellent job defining the various terms and philosophical issues related to animal rights. Allowing and even supporting abuse of Wild Horses, within our Public Lands and by government employees is unacceptable. Even more disgusting is the BLM use of tax payer money to support abuse of America’s Wild Horse Herds! And their excuses are simply lies, and just not good enough to cover-up the abuse! 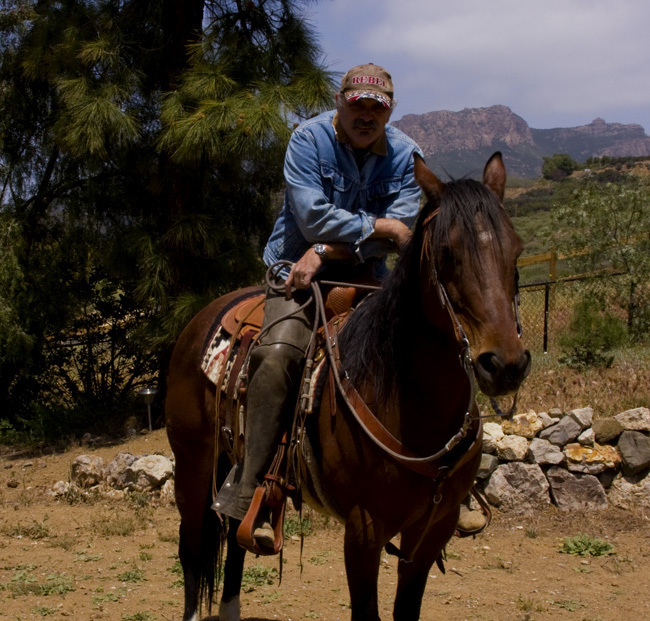 The BLM has been taken too court, several times regarding abuse of the Wild Horses! In ALL cases the Judge had Federally Court Ordered BLM to STOP the Abuse — the BLM Ignores the Federal Court Orders and Ignores the Federal Judge’s Orders! The BLM, not included within this discussion, also ignores the Court Ordered mandate of the 1st Amendment Right to “Press Access” and Freedom of Information Act on all roundups, which continues and always has been a Constitutional mandate by the Federal Court — BLM assumes they do not have to abide by the Constitution of the United States nor a Federal Court Order! Not only is it unacceptable within moral attributes’, but within a civilized society as well. So why then, does our government support such activities from the people who work within the Bureau of Land Management (BLM)? Why does the official oversight agency, the Department of the Interior (DOI) support such activity, which is beyond a doubt and well definable as Animal Abuse? When nothing is done to correct animal abuse, or the animal abuse is ignored, or worse, excused, then we can outright conclude it is supported by those excusing or ignoring the situation. We spend taxpayer dollars yearly, millions of dollars, for the Justice Department to defend BLM and DOI employees in regard to their mismanaged horse roundups. Ironically, also in such matters as animal abuse within these same agencies. So much so that space prohibits the references to all the previous Federal Court cases documented within the last two or three years. The first step is identifying what animal abuse is and what provokes the situation. The subject is too lucrative to delve into a complete discussion here, so only highlights will be mentioned. Please refer to the references given below if further informative material is required for more discussion, or legal references for future Court Hearings when bringing BLM or DOI employees to task for their abuse of, in this discussion, wild horses. It becomes quite obvious that animal abuse takes place at many BLM wild horse herd roundups. The excuses simply lies, also obvious to those with knowledge not only about horses, but to the uninitiated as well. Such things as horses breaking their necks while being loaded into a large horse carrier, or while in a temporary holding corral, or while being rounded up by a helicopter, and much more, remain numerous. Abuse and neglect for the animals safety remains the obvious factors here, and the excuses by BLM always inaccurate and false. There always exists the nasty hidden secret, or underpinning of numerous psychological animal abuse behavior attached to each BLM roundup incident. And yes, some of the people taking part in the wild horse herd roundups do have criminal records of animal abuse in their past. 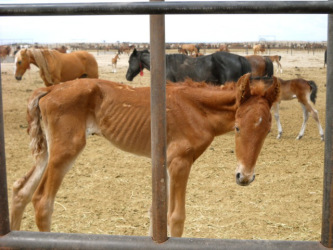 The reality is, and ignored by BLM or DOI management and supervisors, the overwhelming fact that intentional cruelty is often more shocking than neglect, and most refuse to admit this. Not admitted as well, as money far more important to these people than this harsh reality, that many abuse cases are frequently an indicator of a serious human behavior problem. Taxpayers should not be paying for this what so ever! Intentional cruelty is when an individual purposely inflicts physical harm or injury on an animal. This also includes neglect or ignoring the safety of the animals well being. The ASPCA, Humane Society, and other organizations with cruelty investigation authority have arrested individuals who have deliberately maimed, tortured or even killed animals. BLM employees and their contractors’ also need to be arrested at each incident, and disqualified from future government employment situations, to say the least! Because these people work for the government does not make them exempt from these same laws or ethical conduct toward our nations animals what so ever! Why No Arrests of BLM Employees? This leads to the overall question within this discussion — Why have BLM employees or their contractors not been arrested for their behavior, their outright cruelty combined with neglect toward, in this case, wild horses during roundups? Ironically, many of their actions photographed, logged, and filed within Federal Court, and yet no prosecution of any BLM or their contractors arrested for such behavior! 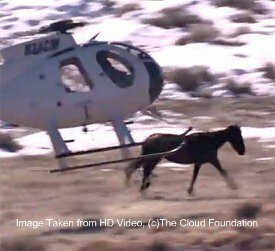 The use of Helicopters is a different discussion, and assuredly yet another abusive means of rounding up horses that should not take place; and yet is justified only by monetary situations rather than humane treatment of animals, morals, or ethical definitions. The excuse — cost factors equating to time factors — incentives by BLM/DOI contracts which contain time restraints’, which equates to more pay for the contractor — which causes irresponsible conduct of BLM contractors’, or defined categorically as Provoked Abuse. Not so ironic, this is in reality, yet another definable, categorical, and well explained form of abuse toward animals, horses in this case — and is ignored entirely. 5. Use of white plastic flags or bags on the tip-end of whips, to frighten already stressed-out and fatigued horses, which has led to many broken necks and broken legs while horses held captive in temporary corral situations; and much more . . .
One of the less acceptable facts — although many individuals are arrested for intentional cruelty, people who commit even the most heinous crimes against animals are often not prosecuted to the full extent of the law. In states where animal cruelty is considered a misdemeanor, individuals who commit intentional cruelty crimes against animals can receive, at most, one year in jail and a $1,000 fine. Often, perpetrators receive no more than probation. The BLM and DOI have a vast history of being sued, and loosing those lawsuits, mostly for mismanaged programs, or in many cases blatant incompetence and disregard for Ecological Systems or Wildlife. Thereby, a foundation does exist of abuse, make no doubt. The problem with animal abuse is the fact that it is allowed at all. People often turn their heads and claim lack of knowledge. Or worse, allow the animal abuse to take place, then attempt to make excuses. Often it is ignored, in total, that the psychological attributes of the animal abuse is often Psychopathic in nature. And yet, the animal abuse happens most often in front of others, and the “others” do nothing! The very existence of Hot Shots (cattle prods) in a contractors truck or at a roundup remains extremely questionable and unacceptable in conduct, to say the least. Shocking the wild horse’s while in corrals is a good example of not only irresponsible conduct, but others apparently looking the other way. Shocking a small foal to get it loaded into a horse trailer is reprehensible and psychopathic! The situation photographed, and the following question comes to everyone’s mind — Why are the individuals shown using a Hot Shot (the foal and other horses) not arrested? Why are they still working as private contractors with the BLM? Examples with the BLM and DOI abound, no doubt plentiful. In another context, and shown to be factual and with BLM staff knowledgeable of these facts — When, for example, a Welfare Rancher complains about wild horses on Public Lands they lease from the BLM, they hire one of a few people available to go and shoot the wild horses roaming freely on that same Public Land. The question here is who would be the worse offender, the Welfare Rancher hiring the assassination of wild horses, or the shooter — Well, in definable or legal terms, BOTH! And what of the BLM employees who have knowledge of these events. Certainly in one Nevada town it is an outstanding joke, that the BLM Police know exactly who the shooter’s are, as they drink with them at one of the local bars. A case could also be made for each of them, mental instability and psychopathic behavior — witnesses have attested to the fact one horse-shooter actually has a wild horse (BLM cold branded) mounted and stuffed on display in his living room and as a trophy, just as a hunter would do with an Elk head or other wild animal. It is quite obvious there exists a necessity to arrest and prosecute government, specifically BLM and DOI animal abusers, especially when working with the BLM, DOI, or any other government agency! They are not exempt what so ever from America’s Laws! The fact is Accountability and Responsibility, not only for the Wild Horses but with tax payer money as well, should no longer be ignored. It is reasonable to equate the ignoring of such extreme circumstances to become very real, as long as we as American’s and taxpayers allow such agencies as the BLM or DOI to be the most litigated government agencies in America’s history! The economic and biological landscape in America today is quite clear, the Welfare Ranchers program must STOP! The terms glutinous, greed, criminal activity, and taxpayer rip off associated with Welfare Ranching are all true, and even more illicit and criminal terms can be attached as well. The ignorance displayed by Welfare Ranchers, consistently, between the roundups and killing of our Wild Horse Herds and Wolves, demonstrates their complete lack of knowledge and foresight — although their capacity to mooch off of our government tax money is overwelming! The Bureau of Land Management (BLM) of the Department of the Interior (DOI), debatably manages, or mismanages according to some, over 150 million+ acres of rangeland in the western United States. Within the last thirty years, increasing demand for nonconsumptive use of natural resources has resulted in increasing conflicts among claimants to the public lands. Such things as Wild Horse Herd removal, unnecessarily, has created enlightenment to the general public. Yes, the Welfare Ranchers’ greed and behavior has pointedly, like a beacon from a lighthouse to a wayward ship during a storm at sea, highlights the fraud and criminal activity of Welfare Ranchers and all those involved. This information and data increases almost daily — never good, and always reeks of illicit and illegal behavior. The Welfare Ranching program is in direct violation of many of the laws and Executive and Secretarial Orders1 listed below. Take your pick from either category, as it is that contaminated and so polluted with inconsistencies, outright lies, the ignoring of laws, constant cover-up of criminal activity, and compounded by being managed incompetently by the BLM. Also keep in mind the BLM and DOI remains the most litigated government agency that has ever existed — due to their constant incompetent, illegal, and certainly questionable decision making. The ugly fact is this — the Welfare Rancher program is not useful what so ever and these ranchers’ simply pocket tax payer money, which makes most of them quite rich. BLM will tell the American Public how they make billions of dollars in profits, then the honest legislators turn their heads thinking everything is okay — that is, until someone starts to peel back this lie of lies the BLM gives to the public. GAO reports outline the BLM takes a heavy loss of money yearly, and without assuming legal expenses within their data and bookkeeping analysis. Often the GAO becomes specific in their details on how the loss, in billions of dollars, is due to faulty, unuseful, and mismanaged programs within the BLM and DOI. Ignoring the truth is undeniable, yet causes lack of tax payer dollars to become useful in other beneficial and honest programs, and the truth — the BLM does not make a profit! The BLM has never made a profit! If the BLM insists on making this statement, then it is time they prove it beyond any doubt, and show us, the tax paying public exactly how they derived that profit, and all the while assuming all costs and liabilities — i.e. legal costs of courts, funding programs such as Welfare Ranching, losses taken by “not” collecting appropriate fees from their friends or special interest groups, etc. . .
A 2005 GAO report points out $4.2 billion not collected from Welfare Ranchers at that time, and is estimated to increase at least 18% to 26% yearly on uncollected fees, and directly in regard to both BLM agency programs. When we discuss Welfare Ranchers and Corporate Welfare, this is two of many instances we point out that is burdensome to tax payers, and the general public receives NO benefits from these programs what so ever. Who does receive the benefits? Welfare Ranchers and Corporations who maintain special lobby group interests, those who have paid campaign costs of legislators, and legislators and corporate entities and friends / lobbyists who hold interest — or outright own ranches and grazing permits on and for Public Lands. This is similar to taking a kid to a candy store and telling him he can take whatever candy he wants, with no limits and free of charge because the tax payers are covering the cost. As a matter of fact tax payers cover the maintenance and below-the-line expenses for Welfare Ranchers while they operate their cattle or sheep ranches. Then it is the tax payer who pays twice for that same beef or sheep. We pay taxes (which constantly rise due to these types of programs through this and other government agencies) and also pay the premium price at the store for these same meat products from Welfare Ranchers. It is portrayed — as if these Welfare Ranchers compete with commercial ranchers — Make no doubt they do not! Make no doubt they cannot! We pay for their ranches, that is a fact! We pay billions of dollars to Welfare Ranchers yearly, and their product yield remains less than 2% of the meat products placed into commercial markets. Again, our cost is double, in taxes and at the grocery store! It is time to Stop the Welfare Ranching Program! It is simply time Welfare Ranchers compete on the open market as a commercial entity, without tax payer money funding their business! It is time for Welfare Rancher programs to be discontinued immediately! One concern of many more, was the fact of $445 million in Administrative Support directly associated with the Welfare Rancher program yearly, for the program to exist. What was also pointed out was the fact this same cost has never been associated with any benefit directly toward the tax paying public, whose money is used to cover this expenditure, and spent when the BLM “Does Not” do their oversight and proper jurisdictional management, for which they are paid. BLM contracts are also flawed, and not in accord with responsible conduct in accord with and accomplished by private government contractors’. The best example here is the constant and consistent Wild Horse Herd Roundup abuse and conflicting statements from contractors’, BLM staff, and legislators! It is a circus of lies! One can peruse the list of ownership of Public Lands grazing permits, and start to understand why it remains today; that is, the names the public can actually review are heavily burdened with billionaires, corporations, and yes there exist plenty of Congressmen, Senators, and State Assemblymen. Families have also handed-down these grazing permits for Public Lands usage to their children, and on and on, often without scrutiny from the BLM or DOI. The BLM has recently rebuffed a court decision (via the Department of Justice and quite costly to taxpayers) for transparency of those owners and permit holders involved in Grazing Permits and Welfare Ranches. Yes, the court case centered around the fact of showing the public at large — owners and grazing permit holders. It is believed it would create a more honest program. This was done when discovering there existed corporate ownership on lands that hold grazing permits, that have no ranching or other principle farm or ranch capability or existence what so ever — and yet the BLM pays them $2.5 million yearly. The Problem? This is not unique at all. As well, make no doubt there is so much more in question. There does exist, under Secretarial Orders and defined quite precise, the qualifications and continued scrutiny by the BLM of Grazing Permit Holders. Most often this is ignored and ecological areas are ruined by cattle and sheep grazing. Wild Horse Herds are rounded up without proper explanation, and when a reason is given, it is most often proven in error, or simply data that has been tampered with and manipulated. The overall reason for the roundups, quite costly to both tax payers and wildlife, is simply the reason to make more room for cattle to graze on Public Lands, and basically obtain more Welfare Rancher program tax money. This is the only AML Welfare Ranchers appeal toward, no others. Ethical violations exist as well, and plenty, in regard to legislators and government employees holding or owning cattle and sheep ranches and use Public Lands for their grazing. They receive tax money under the Welfare Ranch program, and continue to pass laws, or make Public Lands decisions, that do not conflict with them receiving the tax money! Some legislators in Nevada and Utah for example, even go so far as assisting BLM in the demographics and logistic plans for the removal of Wild Horses in order to make room for more cattle on their land and within their grazing permit status. This is accomplished in order to receive more benefits, i.e. tax payer money, from the Welfare Rancher program. This is also in direct conflict with the Wild Horse and Burro Program as well as ethical and other special interest laws that state clearly this type of direct involvement in the decision making process of our government is unacceptable, in total! There is no place for Welfare Ranching programs in today’s landscape of government management of our taxed dollars. Welfare Ranching may have been useful as a temporary situation in the 1930’s to the 1950’s; but has gone beyond any useful purpose within the markets of today and in a capitalist society. Now it is simply a drain to our economy, and provides non-essential monetary support to those who cannot compete in a currently thriving commercial market — in another words it is unneeded and a useless program. 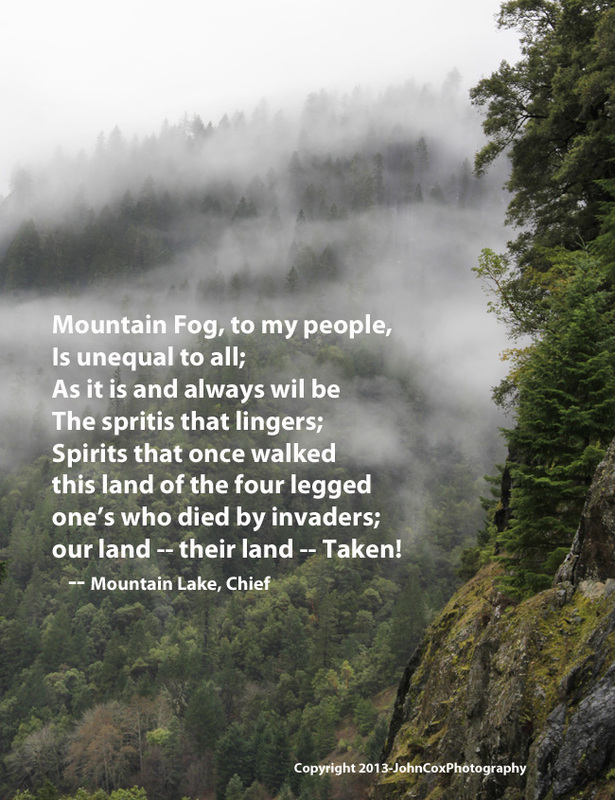 Federal Land Policy and Management Act of 1976 (FLPMA), as amended, 43 U.S.C 1701 et. seq., provides authority for BLM land use planning. Regulatory guidance is at 43 CFR 1600 et seq. The RMP process is in 43 CFR 1610.4. National Environmental Policy Act of 1969 (NEPA), as amended, 42 U.S.C. 4321 et seq. Bureau guidance on NEPA process is in the Bureau Manual 1790 and Manual Handbook H-1790-1. Other guidance is the, “Overview of BLM’s NEPA Process” from Course #1620-02, and Council on Environmental Quality’s “40 NEPA Questions,” March 16, 1981. Endangered Species Act (ESA) of 1973, as amended, 16 U.S.C. 1531 et seq. National Historic Preservation Act (NHPA), as amended, 16 U.S.C. 470 et seq. American Indian Religious Freedom Act (AIRFA) of 1978, as amended, 42 U.S.C. 1996 et seq. Recreation and Public Purposes Act (R&PP) of 1926, as amended, 43 U.S.C. 869 et seq. Federal Coal Leasing Amendments Act of 1976, as amended, 30 U.S.C. 201(a)(3)(A)(i). Surface Mining Control and Reclamation Act of 1977, 30 U.S.C. 1201 et seq. Mineral Leasing Act of 1920, as amended, 30 U.S.C. 181 et seq. Onshore Oil and Gas Leasing Reform Act of 1987, 30 U.S.C. 181 et seq. General Mining Law of 1872, as amended, 30 U.S.C. 21 et seq. Archeological Resources Protection Act (ARPA) of 1978, as amended, 42 U.S.C 1996 et seq. Migratory Bird Conservation Act of 1979, as amended, 16 U.S.C 715 et seq. 2 David K. Lambert and J. S. Shonkwiler, Property Rights, Grazing Permits, and Rancher Welfare, Journal of Agricultural and Resource Economics, 20(1):146-164 Western Agricultural Economics Association. Horses Led To Slaughter, Anatomy of a Cover Up in the Wild Horse and Burro Program, PEER White Paper, Number 14, Public Employees for Environmental Responsibility, Washington D.C. 20009-1125, http://www.peer.org/pubs/whitepapers/1997_horses_to_slaughter.pdf , 1997.